Corporate gifting is an effective marketing strategy employed by many companies to enhance customer loyalty, improve brand awareness, boost morale and engender goodwill. If you've decided to use this strategy - here are a few reasons why you should outsource the service rather than do it in-house. Every gift you give a client reflects on your business. Regardless of your budget, each gift should be beautifully and professionally presented and thoughtfully chosen. Corporate gifting specialists such as gift hamper companies, ensure your gift presents your business as both professional and personal. 2. Time and Effort Saving. Any one who has tried to prepare their own corporate gifts soon realises there is more to it than meets the eye! The sourcing and purchasing of gift items and packaging, not to mention actually packing them to present to a client, is a laborious and time-consuming task. Corporate gifting companies provide a product and a service, which will save you a great deal of valuable time and effort. 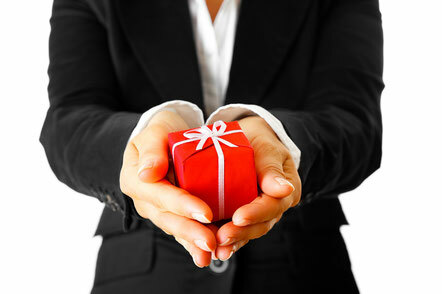 It may seem like you are saving money by preparing your own corporate gifts. However, time is money and as mentioned above, this is a multi-leveled and time-consuming task. Far better for your employees to use their valuable time getting their job done and outsource gifting to professionals who know what they are doing. Also, buying good quality items at retails prices to include in your gift will not save you money. Similarly, packaging can be hard to buy in limited amounts, so you may end up with surplus you don’t need. 4. Wider Range of Options. 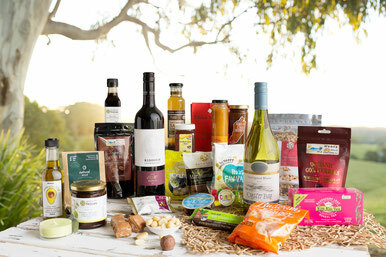 Corporate gifting specialists such as gift hamper companies, offer a wide variety of options to choose from and at various price points. Most will customise an order to meet your brief if so desired. This makes it easy to vary the gifts you give the same client from one year to the next. It is possible to personalise your corporate gifts by incorporating your own branding. This can include branded gift boxes and/or ribbons with your business name and logo. Or it can be as simple as using your corporate colour/s for the ribbon and including your business card. It is the perfect opportunity to increase your brand awareness. Some businesses like to gift branded items but be careful to ensure the gift is about the receiver, not just your business!